It's been four years since the introduction of our Microblend Series, a unique program in where we commission custom, limited edition blends from the industry's best cigar manufacturers. When the Microblend Series launched in 2010, it was a relatively unheard of concept. Adopting a practice used by small batch craft breweries around the country, we began designing special cigar blends in limited quantities, ensuring the optimum smoking experience; with a singular vitola, premium tobaccos, and strict quality standards derived from the extremely limited nature of the cigars. 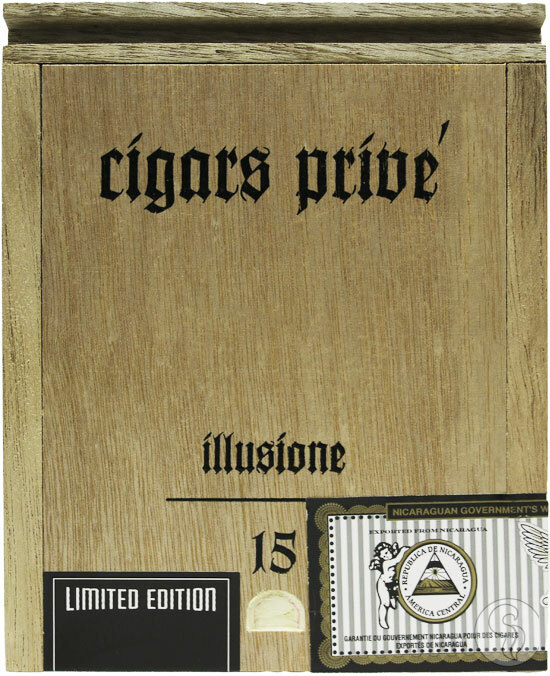 Now, we're proud to introduce our 9th edition to the Microblend Series - Illusione Pactum. Working closely with brand owner Dion Giolito, we've created a cigar to embody Smoke Inn owner Abe Dababneh - big, bold, and full of attitude! This cigar is in-your-face, with full-bodied flavors and loads of white, chalky smoke. Using Nicaraguan tobaccos from the upper primings of the tobacco plant, Pactum takes on the strong and oily characteristics of the leaves. Pactum is finished with a San Andreas 'Capa Fina' maduro cover leaf, giving a touch of sweetness to this bold, powerhouse smoking experience. This will be one of the most limited production releases in our Microblend Series to date. Secure your order of the Illusione Pactum while supplies last!